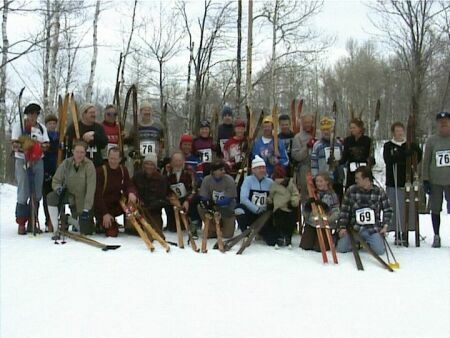 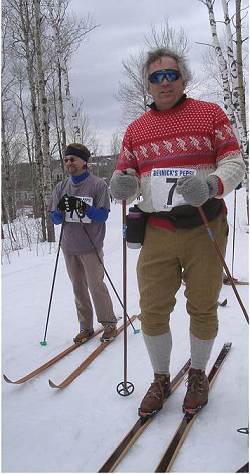 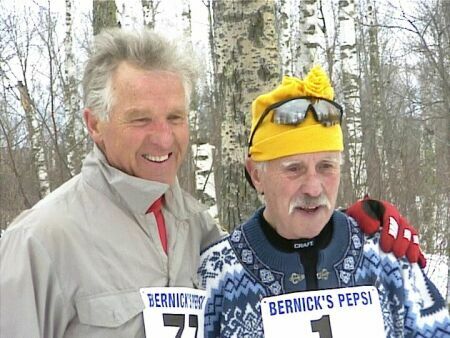 "Dedicated to the preservation and enjoyment of cross-country skiing with wooden skis"
George Hovland and Dave Johnson of Duluth put together the first "Wooden Ski Rendezvous" at Snowflake Nordic Center in Duluth, Minnesota, USA. 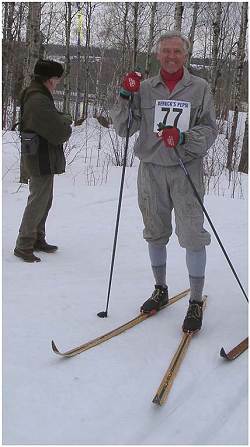 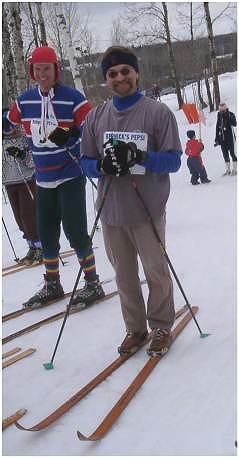 The Rendezvous consisted of a 5km race on wooden skis. 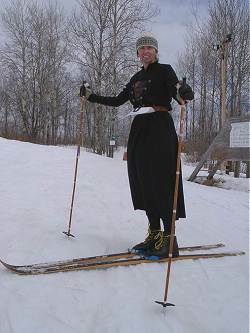 Much fun was had by all and the vintage clothing and skis were a living museum.